The demand for smart thermostats is rising sharply on account of their energy saving potential. This is true for both residential and HVAC commercial markets. With smart thermostats you can monitor temperatures at home, or in commercial spaces through devices such as mobiles or PCs. As result they can be set from time to time from any remote place for increased energy efficiency and financial savings. According to the Department of Energy and Climate Change (DECC) over 80 per cent of an energy bill can be attributed to home heating and hot water system. Smart thermostats can divide the house into smaller zones instead of heating the whole house through one control. Honeywell claims that its Evo home smart device (pictured) can deliver up to 40 per cent of savings, by dividing up a home into zones. 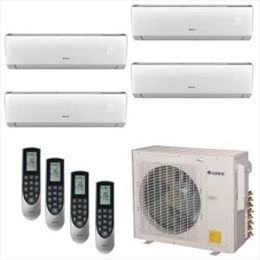 The demand of inverter air conditioner will also increase sharply between 2016-2020. These units can cut down your energy usage by 30%. These units are also easier and less expensive to install. These speak volume about why their adoption rates are set to increase. The inverter air conditioners are integrated with variable speed compressor. These compressors shut down as soon as the desired temperature has been reached but come on once the temperature changes. Inverter ACs has high market coverage in Japan. But countries in Latin America, Europe as well as the United states are showing faster adoption rate. The demand for integrated solutions will increase. 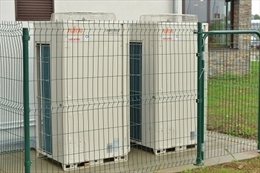 The solutions integrate manifold configurations of variable speed and fixed speed scroll compressors, variable frequency drive, electronic expansion valve and control and also have compressors envelopes management and protection as well as super heat control capabilities these offer the users with a single platform for setting and monitoring the cooler. They can adjust temperature levels based on the number of people in the conditioned environment. Pollution is a growing concern in the modern world. Most homes have separate air purifiers to restrict inhalation of contaminate air. The A/c manufacturers are introducing units integrated air purification systems. They contain multi-layered filtration that can screen microscopic particles in the air. •	The CAGR of HVAC industry will increase 4.34% CAGR through 2022. •	In China it is predicted to grow at 8.51% through 2019. •	The industry would generate revenue of $70 billion. •	Asia-Pacific would be a key revenue generator in the global HVAC market. •	Global demands for HVAC equipment are expected to increase by 6% annually through 2020.